Check out this 1971 Faberfab Aztec here on eBay bidding for $3,100 with auction ending today (Tuesday) at 7:25PM. 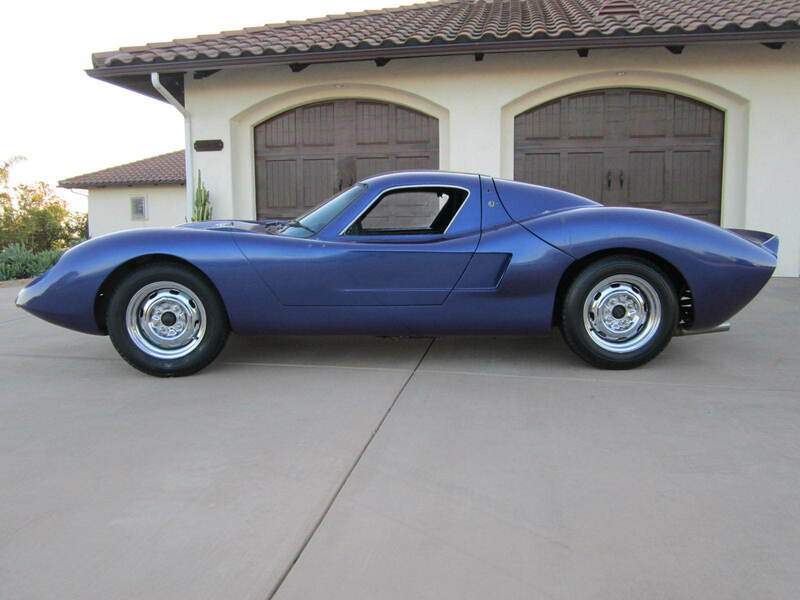 Up for auction is a very rare flip top Fiber fab Aztec GT II kit car titled as a 1971 Volkswagen 2-door. The miles on the odometer are 35,389 (actual mileage unknown). It has been sitting since 2002 under a carport cover. It was running then; however, the motor is stuck now. I haven't tried to free it up. Maybe some Marvelous Mystery Oil down in the spark plug holes might free it up. I bet it will. I was told it is an early VW 40 hp motor. I'm not sure what the motor is. It has some very cool '60s vintage parts, Eelco gas cap, Stewart Warner gauges, green line tachometer and Superior 500 steering wheel. The body on the car is very nice. Very few cracks. It looks like the original color was silver. The paint on it now is a chameleon purple. It's shiny and could be polished, but the car basically needs paint. I do not know what the switches are on the side of the car. I'm sure one of them operates the flip top. The front windshield and the tail lights are off a mid-60's Corvette. The door glass and rear window are Plexiglass and have stress cracks. The driver side Plexiglass is there but is down inside. The carpet is old but is in decent shape. When I pulled up the carpet to check the floors out, it had the old original shag carpet still in there from the '70s. 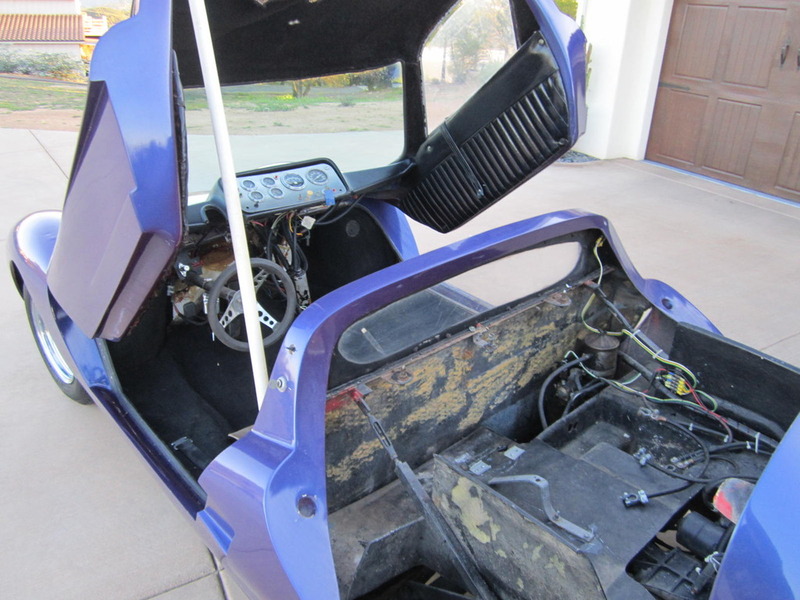 The car has a solid pan, but someone at one time tried to lower the floor pan under the seats to create more head room and did a poor job (as shown). The fiberglass seats are not bolted down. The inside door panels are original and nice. The headliner is carpet material and needs to be replaced. It has the early wide 5 bolt pattern with wheel adapters on it. It has 15-inch chrome wheels that are in good shape with old tires that hold air, but they need to be replaced. The emergency brake works great and the car is light and easy to push. The flip-top is operated by a hydraulic ram that needs to be rebuilt or replaced. I'm not 100% positive, but the ram looks like a Chevelle convertible top ram to me. If you look closely in the motor picture there is a reservoir for the hydraulic fluid to operate the flip top. The top is being held open with a piece of plastic pipe in the pictures. It does not stay open on its own. It has a nice grill. I've tried to do my homework on these cars and there is very little information on them. I read that they are super rare and only 20 were produced. To sum it up, it is a great restoration project. And if you were to go to a car show and open it all up, it would be a real attention-getter! 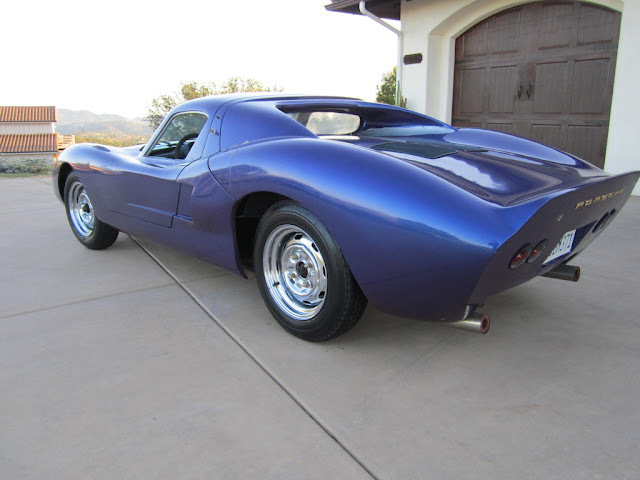 A friend of mine came over and worded it well, "Usually when you see a kit car you think they almost got it right because there is usually one part that of the car that just doesn't fit, but this one is pretty nice looking all around." Do i have a deal 4U ! He's right. Most kit cars have that 'almost but not quite' look to them. (I'm looking at you, Bradley GT) but the Fiberfab could show up at any car show without embarrassment. AND it comes with your own pole for vaulting so there's that too. 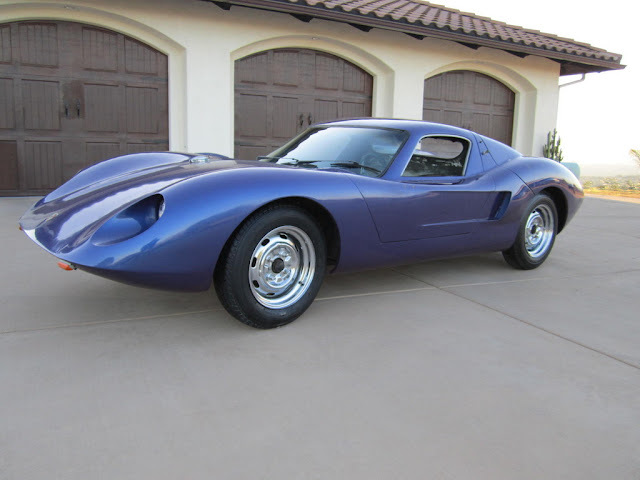 Havnt we all looked at a kit car and thought,"I know, I know but what if...?" /I have dreams about a Fiberfab Jamaican with a Rover 3.5 v8. I guess making the fiberglass A pillar strong enough to hold a torsional loads of an open door is harder than it looks. I was actually thinking about the Sterling http://www.sterlingsportscars.com not the Avenger. Still ridiculous.